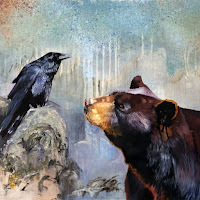 One morning after a round of zazen, Raven asked Brown Bear, "Does faith have a role in practice?" Brown Bear said, "Great faith." Raven asked, "How should I direct it?" Brown Bear said, "One, two, three." Faith: No having or lacking.